General Manager Steven Sewell announced Lime Rock Park’s 2017 major spectator event schedule this morning, noting that it models 2016. 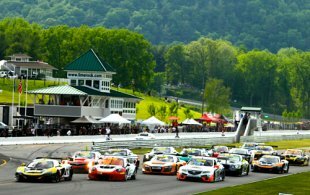 At Lime Rock, the Pirelli World Challenge – tremendous, no-pit-stops sprint racing – features all eight PWC classes: GT, GTA, GTS, GT Cup, SprintX, plus the three Touring Car classes – TC, TCA and TCB. GT is where manufacturers such as Cadillac, Acura, Bentley, Audi, McLaren, Ferrari, Nissan, Porsche and Mercedes-Benz all come to play. 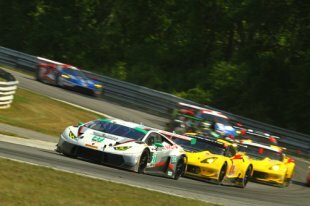 Many teams in the GT and GTS classes will also compete in two 60-minute "SprintX" races, with racing duties shared by two drivers. The July IMSA WeatherTech SportsCar Championship, GT endurance racing at its finest, features the extremely popular GT Le Mans (GTLM) division and the GT Daytona cars, including all-new entries from Acura, Lexus and Mercedes-Benz. 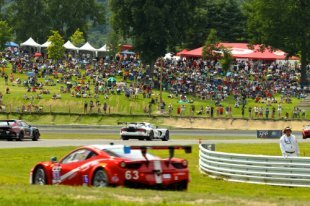 The 2017 Northeast Grand Prix is a GT racing extravaganza, with an expected 25 to 35 cars in the featured two hour, 40-minute race. The NEGP also has the separate Continental Tire SportsCar Challenge Championship, with the Grand Sport (GS) – now featuring international GT4-spec cars! 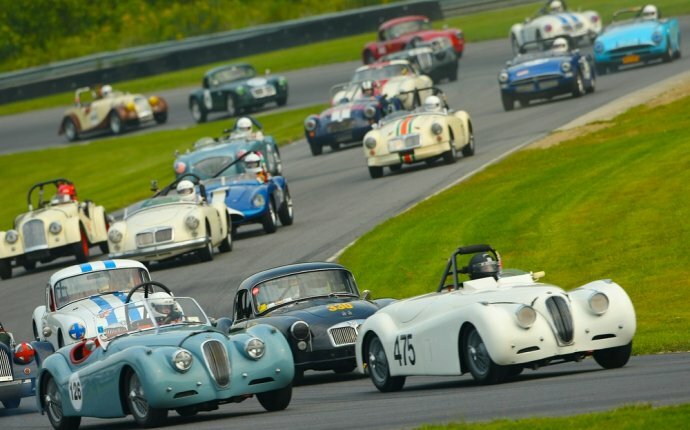 – and the ever-popular Street Tuner (ST) divisions together in one big, fender-banging race. PLUS, Lime Rock has a 40-minute race for the all-new "Global LMP3" prototypes with 420 hp V8 engines: the IMSA Prototype Challenge Presented by Mazda! Historic Festival 35 – details to come – is always a tremendous automotive and racing extravaganza that showcases close to 2, 000 historic, vintage, racing and collector cars over its four days, from race car parades through town and three dozen vintage races to a prestigious concours on Sam Posey Straight and a huge collector car show. With Honored Collectors, Honored Guests and dozens of other special features, Historic Festival 35 is a must-do for any car person. Tickets for all events, hospitality packages, season passes, camping, RV, Insiders Club membership, new merchandise and more went on sale in early November – many with discount pricing for the upcoming holiday season. Hey, I came home to more racing! @WCRacing SprintX from Lime Rock! @Bradley Proctor: While driving to camping (which was awesome and needed) I stumbled upon Lime Rock Park, a sportscar racing track in small town CT.